Srinagar Car Hire is best who is coming by air can hire our cars any time on lowest tariff in whole jammu and kashmir, as we have no. of different own cars for tour and travel purpose as you know Kashmir is the only State where the Language, Food and Traditions changes every 80 km you Travel. If you really want to connect to Kashmir see Kashmir by Kashmir Cab Services. 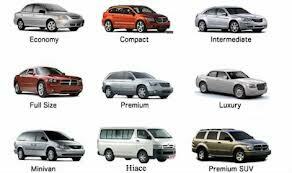 We at Kashmir Car Renatl offer car rental with smart driver to many faverate destination at affordable price. If you are planning a trip to Jammu and Kashmir and also thinking to rent a car, We offer you car hire of your choice and budget from our fleet of Luxury and Budget cars.We have veriety of luxury cars for rental in different segments. Ambassador, Tata Indigo, Maruti Dzire, Toyota Etios, Toyota Innova, Tempo Traveller, Luxury Buses for destinations Srinagar, Jammu, Katra, Ladakh etc.Just click to explore Kashmir Car Rental.